You are here: Home » Ministry Update – Go Stand in the Gate!!! What was Jeremiah commanded to do at this time? What are the principles that God told us to do when the people were worshiping other gods? What are the principles when the professed people of God are violating his laws? The building of God is “the church, Which is his body, the fulness of him that filleth all in all.” (Eph 1:22, 23) “Ye are God’s building” (1 Cor 3:9) “Ye are the temple of God” (1 Cor 3:16) This is the building of God, and “the most High dwelleth not in temples made with hands;” or in buildings made with hammers and nails. The message of God at this time is to go and share a valuable message about how to “glorify God in your body” (1 Cor 6:19) to “cleanse yourselves of all filthiness of the flesh and the spirit” (2 Cor 7:1) And to teach others these same things regarding His temple, which temple ye are. as children of a real Father, as the temple of God, and to tell them not to trust lying words regarding their denomination being the church. For more read the “What is the Church” article. Currently myself (David) and Christian are doing a health cleanse with a group of people that are suffering with many problems including obesity. In one months time we intend to have a full 3-4 session powerpoint presentation on biblical health and the temple of God. The inspiration tells us to go and stand at the gates of the temples. And we intend to do so. 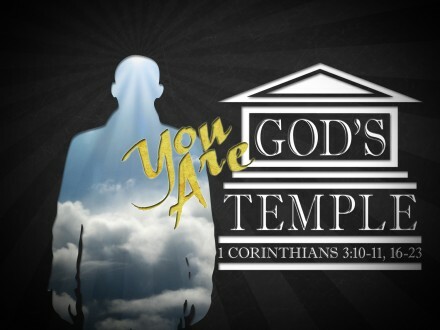 To give a message calling people to acknowledge the true temple built by God and their identity as His children and His identity as your Father. We see these things happening in many people now. Next month we intend to share several stories and testimonies of several people we are working with in New York right now, then we will all be going to the gates of the temples and calling them out to assemblies and biblical health seminars we will be having.